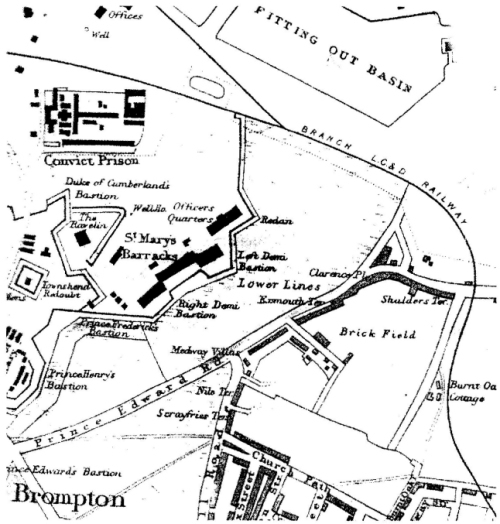 A History of the Admiral's Gardens. 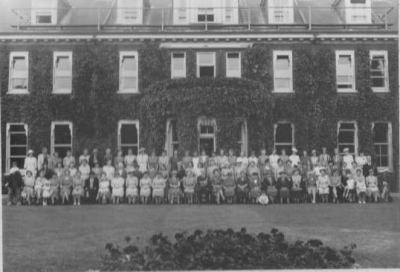 After an appeal for photographs of Admiralty House, Eddie Lane of Rainham came up with these black and white photos , otherwise known as the C in C's house. 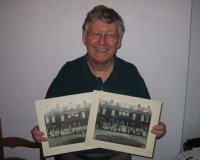 Eddie is shown proudly holding the 2 photographs which were passed to him when his mother died. Mr. Lane's mother was called Mary Elizabeth Lane and the photos were taken by Medway Studios Ltd, 48 High Street, Chatham. Eddie pointed out his mother , in both photos. Eddie's mother used to belong to the Royal Naval Union of Seaman's Wives (which later became the R. N. Wives Association). She was a member from 1938- 1989. These photos are believed to have been taken sometime between 1945 and 1950 at garden parties at Admiralty House, which parties used to be held by the Admiral of the Nore (who also appears in the middle of both photographs). 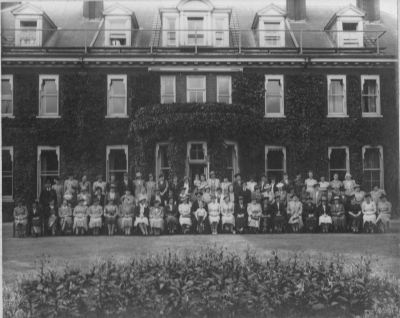 Eddie never went to Admiralty House; he would have been at school when his mother went to the garden parties. He went along with his mother in later years to meetings of the Association held in Navy House, which used to be in Clover Street, Chatham.